Dolphins have no sense of smell due to lacking any olfactory nerve or lobes. 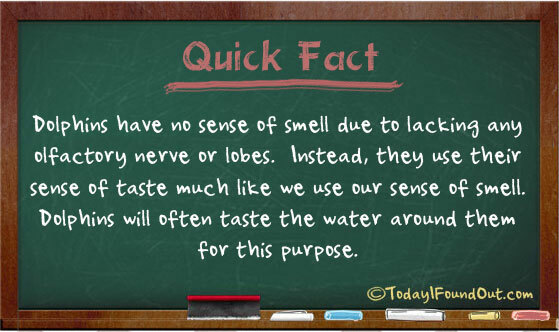 Instead, they use their sense of taste much like we use our sense of smell. Dolphins will often taste the water around them for this purpose.